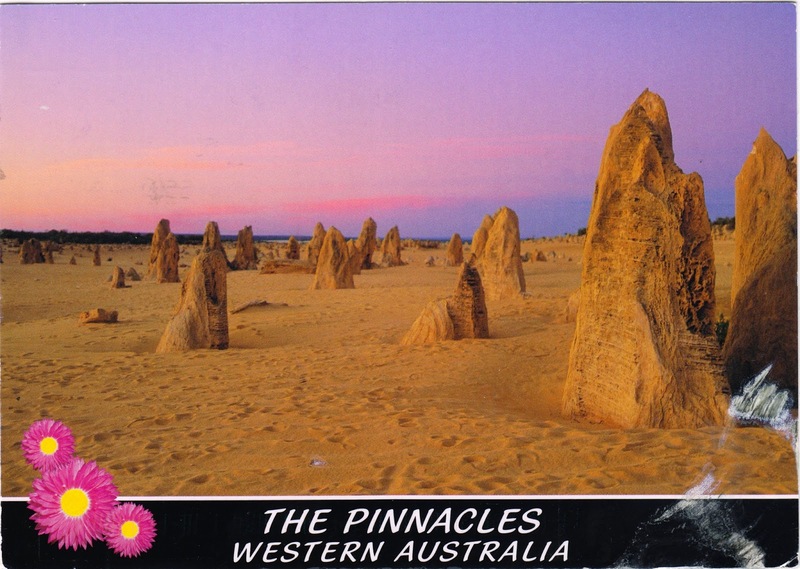 Postcard AU-402249 from Australia shows the Pinnacles Desert, made up of thousands of limestone formations inside Nambung National Park that is 17 kilometers or 10 miles south of the town of Cervantes in Western Australia, Australia. Those limestone pillars, from 5 cm to 5 meters in height, were formed by lime-rich sands from crushed seashells in an earlier marine environment under the long term effects of wind, water and plants. The area is popular with tourists and receives over 250,000 visitors a year.